The business based at MediaCityUK was praised for its work on BBC Sports Personality of the Year 2014 and editing completed by Paulo Pandolpho on Cucumber. dock10 has received accolades at the RTS craft and design awards in London for its post-production work. 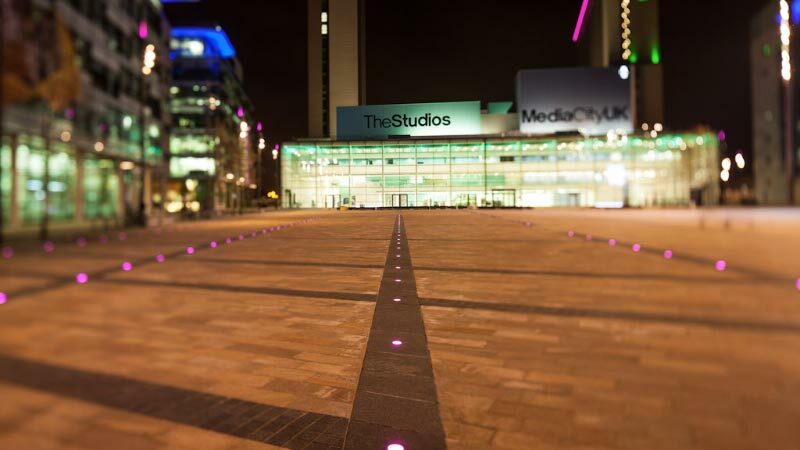 The TV Studios, post-production and connectivity business based at MediaCityUK was praised for its work on BBC Sports Personality of the Year 2014 and for editing completed by Paulo Pandolpho on Cucumber, made by RED Production Company for Channel 4. The RTS judges praised Paulo’s saying: "The editing quite clearly was one of the stars of an incredibly brave piece of television. Outstanding visceral storytelling where the skill of the editor was key." dock10 has also just finished working with Red Productions on the second series of ITV1’s drama Prey and BBC Religion and Ethics on Blood and Gold: The Making of Spain on BBC Four. BAFTA-nominated Prey, which stars Philip Glenister and Rosie Cavaliero and was filmed primarily on location in Manchester, had its picture and audio post-production for the looked after by the in-house talent at dock10. Whilst The Making of Spain which embarks on a fascinating journey to unlock 2,000 years of Spain’s history with Simon Sebag Montefiore, gave the dock10 team the full end-to-end post production, offline, baselight grade, online and dub. Paul Austin, the Head of Post-Production for dock10 said: "The recent award wins are down to our amazing team and the facilities and services we offer here at dock10." "We were delighted to work with Red Productions and ITV on the second series of the gripping drama Prey and then the totally contrasting history series, the Story of Spain, with BBC Religion and Ethics for BBC Four." "We have unrivalled in-house talent, state-of-the-art equipment and workflow expertise across all genres, and these fantastic shows demonstrate the fact we are building so much valuable experience across both drama and docs." Blood and Gold: The Making of Spain was graded by Colourist Jamie Parry and the audio mixed by Mike Stewart. The Grade was mainly used for enhancing and bringing to life the fantastic Bright colours and sunny skies of Spain and the energetic festivals which were shot full of light. The sound was built up to give an energetic and dramatic feel to complement the beautifully crafted composed music.